In 1948, Ferdinand Porsche crafted a vehicle that would change the automotive world forever. 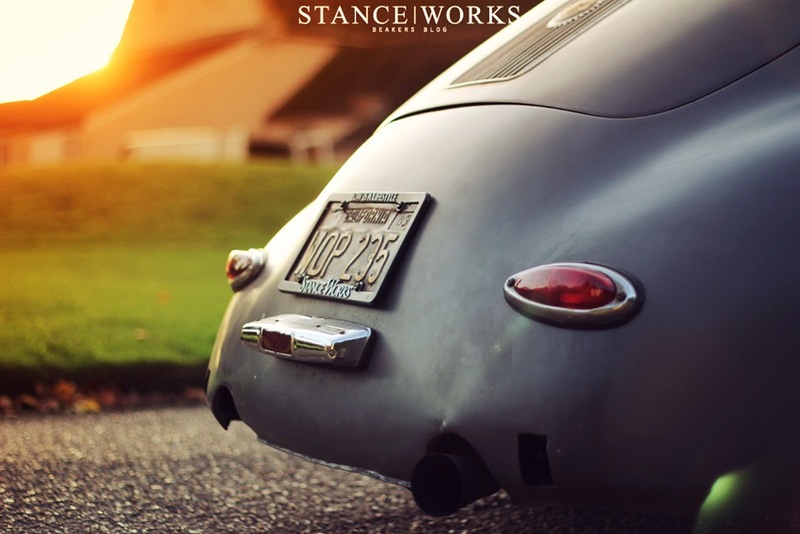 The Porsche 356, the grandfather of the 911 model, was Porsche's first production vehicle. Today, there are less than 30,000 left, meaning they've amassed some serious value amongst collectors. Who better than the Type 2 Detectives to build an outlaw of their own, a final "hurrah!" in the name of going against the grain and crafting a Porsche that unquestionably drives the purists insane. We will start with a history lesson. 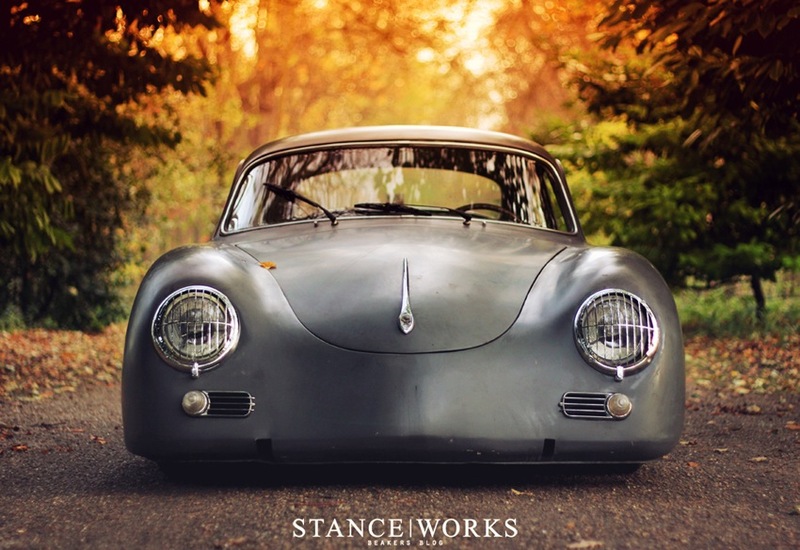 The Porsche 356 is the car that started it all; it was Porsche's first ever production vehicle, and unless you're blind, you can see Porsche has stayed close to their roots in almost all respects. 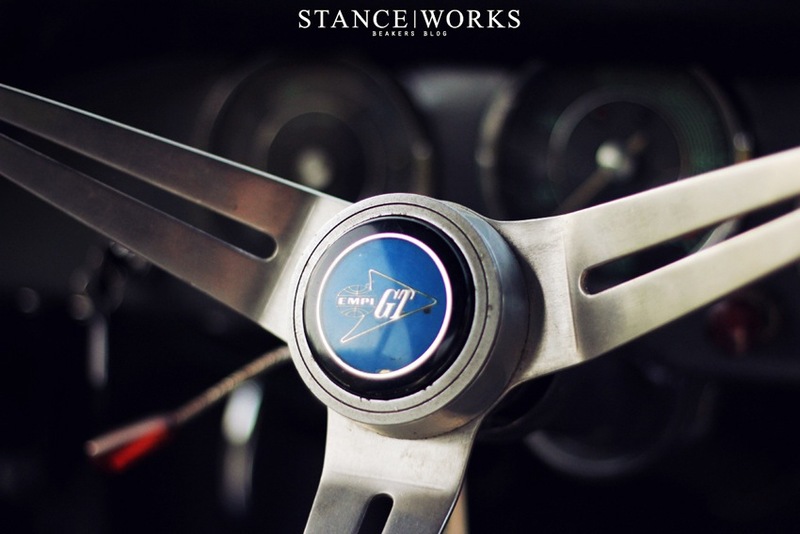 The rear-engine fastback design is iconic in the 911 heritage, and seeing as it is a car with a crest, you know that the old men in polos hold these cars close to their hearts. It's youngsters and the rebels that started the "Outlaw" movement, a crusade against the purist ideology. Fearless Porsche owners took their tools to their cars to convert them in to track cars and street racers alike. Modern engines, updated suspensions; anything that pushed away from the "concours di elegance" mentality was fair game. It was the start of the "cars are meant to be driven, not parked" mindset. For our friends at T2D, this project began as simply as any other. 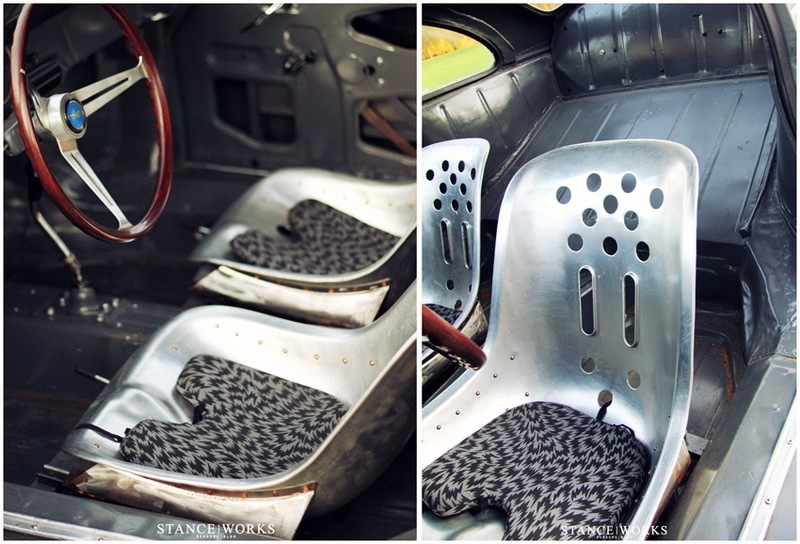 Paul Medhurst and Jason MacLean had the urge to get their hands greasy under a classic 356. Everyone finds a bit of joy in chopping up something they know they shouldn't, and these guys are no different. After sourcing the right car, one that had been totaled and left for dead, the boys got to work. The '58 body came out of storage where it had been for the past 15 years. "He lives in central London and wanted a car he could slap around town in and not worry about it getting scratched and abused in the urban surrounding and back streets of the English Capital city." Paul tells me about the type of car Jason was wanting to build. 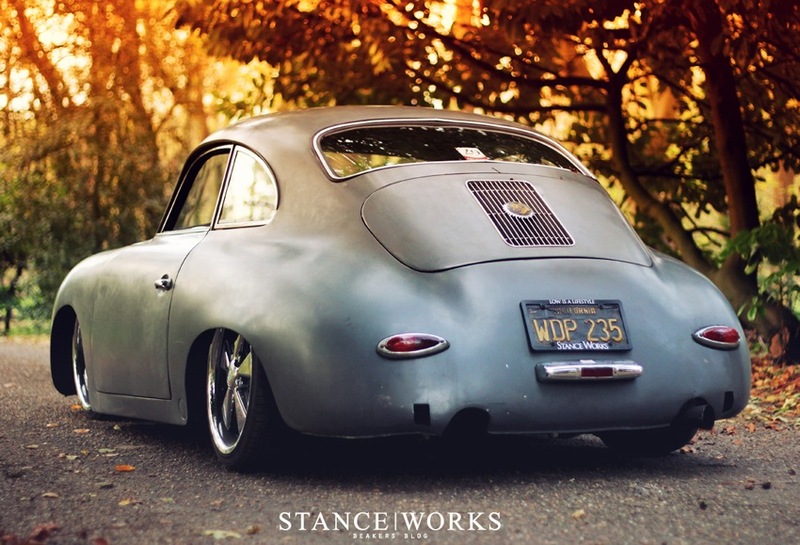 "...so when he got the urge for a 356, the brief was to make the car look neglected in the body department, something that looked like it had been painted many years ago and used and abused ever since." Yes, ladies and gentlemen, the duo set out to build a car that intentionally looked rough around the edges. The paintwork you see is far from half-assed. 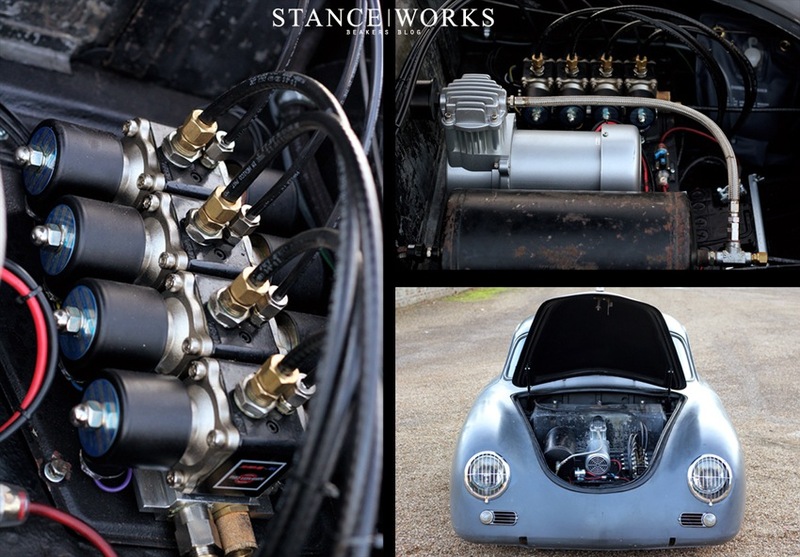 The T2D trio of Steve, Dan, and Trevor spent more than 200 hours on the finish of the car, including aging the final paintwork for the desired patina. "We first carried out all of the metal work and getting the straight, thousands of English pounds were invested in the body, we needed it to be strong and safe, even if we didn't want it to look that way." As they say, you can never judge a book by its cover, or a Porsche by its paint job. After the body fabrication was completed, they got to work on the "fun" part: the suspension. 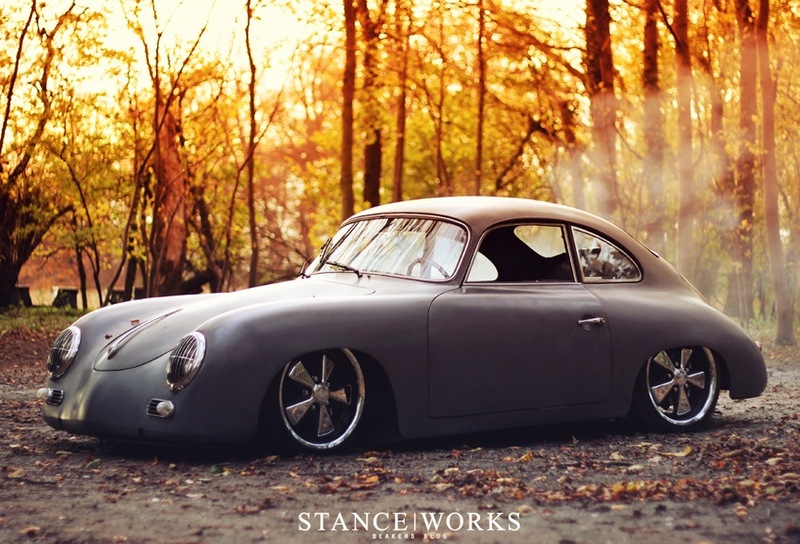 The team went to town, fabricating their own front beam and suspension system with the end goal being a Porsche that hovers off the ground and is able to air up to avoid the speed-bumps and other obstacles in down town London. 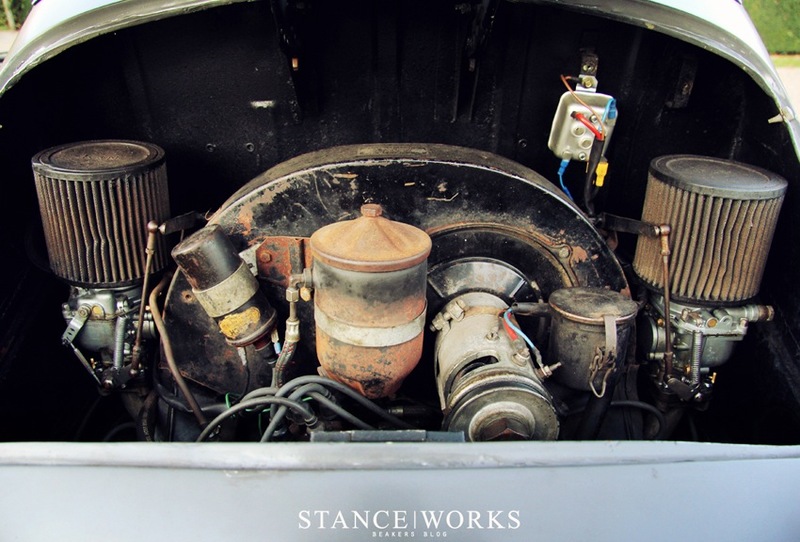 It utilized Monroe air shocks in the front and bags in the rear, and was all designed to be run in conjunction with the original torsion bar system. The engine and transmission were also lifted to help with ground clearance and help correct the excessive camber. The interior of the car was trimmed down to the bare essentials. Bare in the most literal sense; two 356 Carrera seats with little more than cushions to sit on, elegantly wrapped in Eley Kishimoto Flash fabric. The extremely rare EMPI steering wheel finished off what little there was to begin with. Bare bones, "because racecar." The minimalist touches are just as prevalent on the exterior of the car. 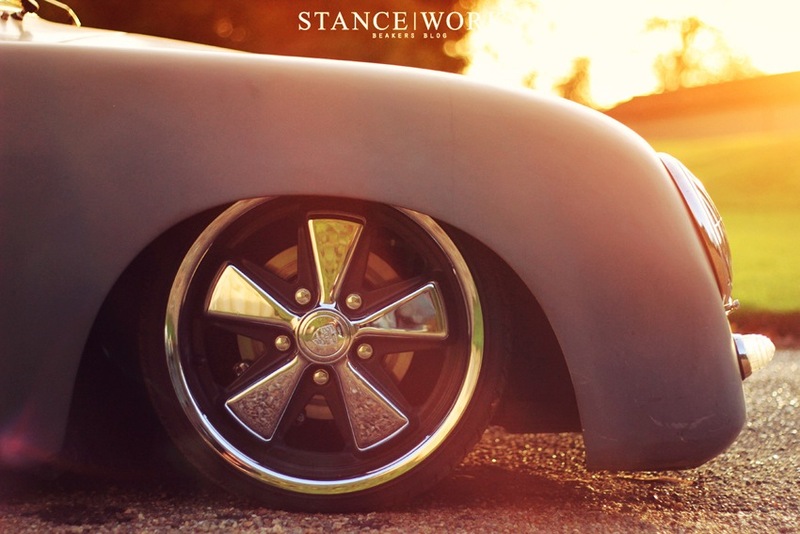 The styling was built around the wheels, scaled up versions of the original Fuch wheels. The lack of bumpers and trim mimic the interior perfectly. All in all, the car fits together perfectly. It's not obvious that the paint isn't the original finish from 1958. It looks as though the car has spent its life being driven, and hard at that. It is accompanied by a worry-free mindset of ownership. Nicks and dents purely add character to a classic that is already oozing tons of it. In our eyes, it's another classic kept on the road and out of the junk yard, and best of all, it gets driven like a bat out of hell. "Outlaw" seems quite fitting.